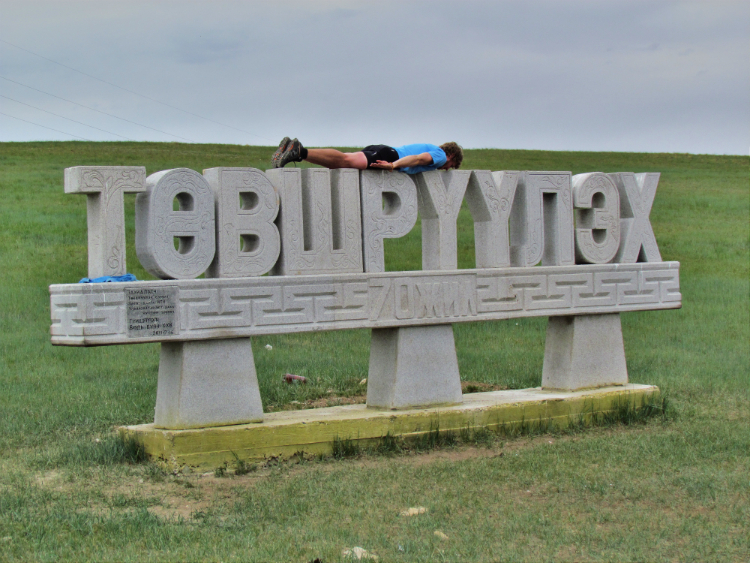 From Ulanbator(americanized spelling) to Tetserleg, almost 500 miles in just over 4 days. 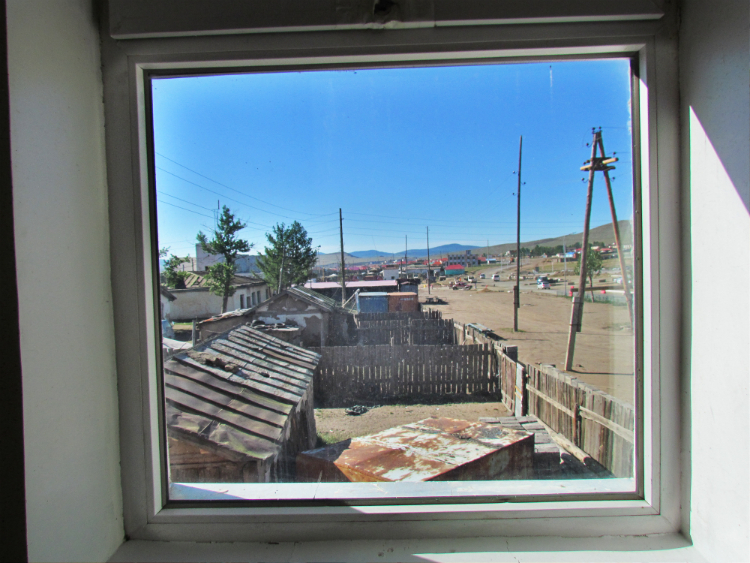 Looking out our Hotel room window in Tetserleg. 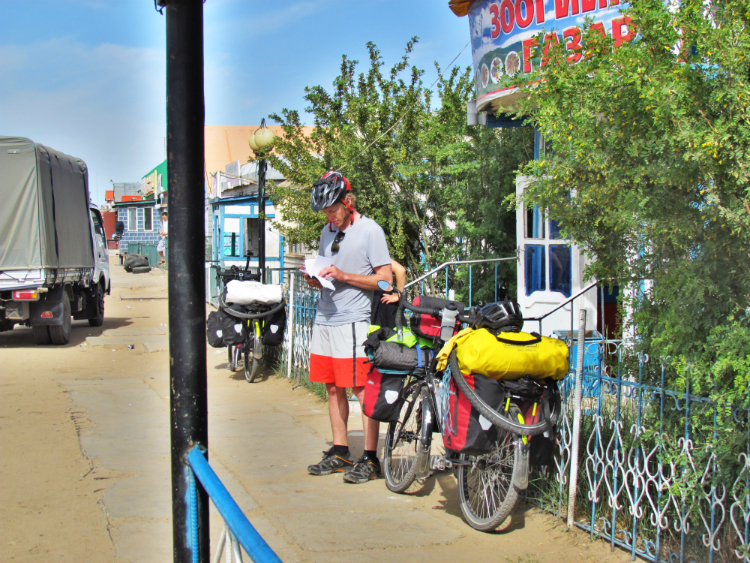 We are walking the fast moving and somewhat dirty streets of Ulanbaataar, for a city of it’s size its pretty rough. Considered to have the highest crime rate per capita inthe world, as we read and have been told. All windows at street level are barred, all sidewalks are iether missing or severally frostheaved and cracked. Most of main street has 2 or 3 story buildings facing the street, in front of each building is an added on sort of leanto style store front, selling hair products, stereos,motorcycle repair, etc, you name it and it is here. Huge number of Hummers and Mercedes 500 sport vehicles. We are just window shopping so it does not really matter what we see. 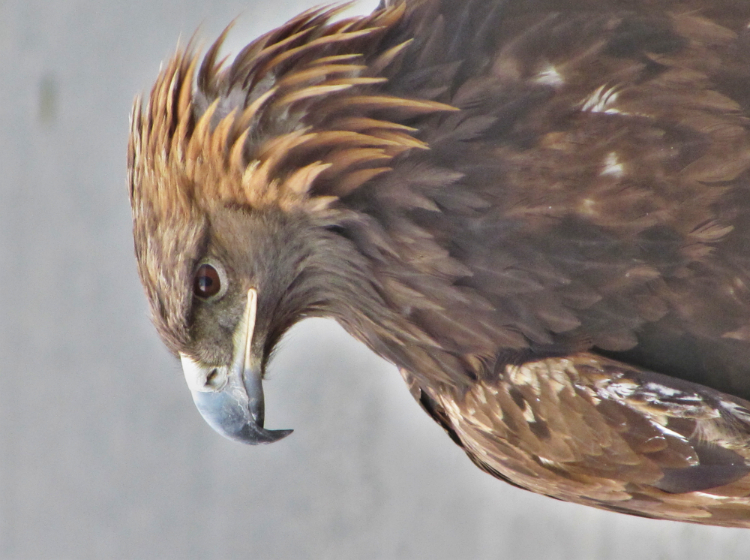 Pine is bothnervous and elated at the same time since he has over 1 $million in cash in the right pocket and about $6500.00 in cash in the other……..of course this is in Tugrik and Rubles……..all that cash added up in Usa would by 2 nice steak dinners. Many folks called this the true Big Sky country, and in many senses it certainly is a huge piece of blue sky landscape. No where near as grand as say our own Montana though. 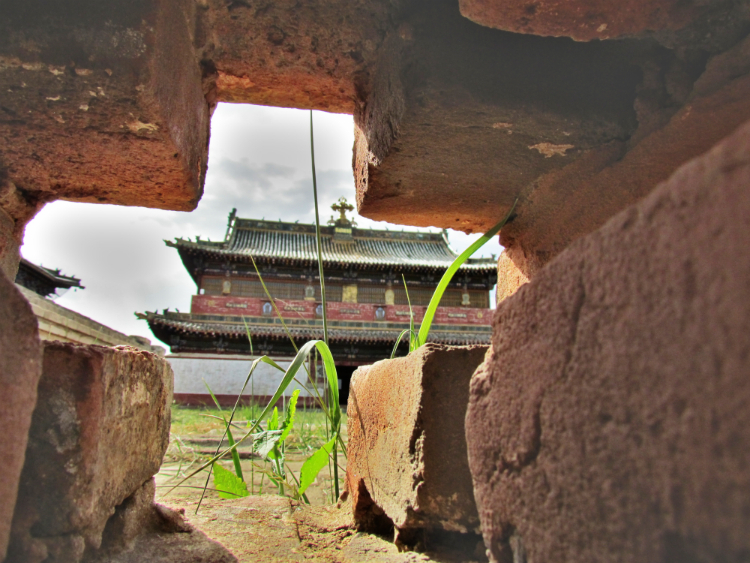 There are just a few things the guidebooks dont mention……like you literally never are out of sight of a Yurt as we have been told to call them in school, or a Ger. The ubiquitous felt round houses are everywhere. We stopped for the night in no particular place, just stopped when we got tired at the end of 65miles……we counted 48 Yurts in view. 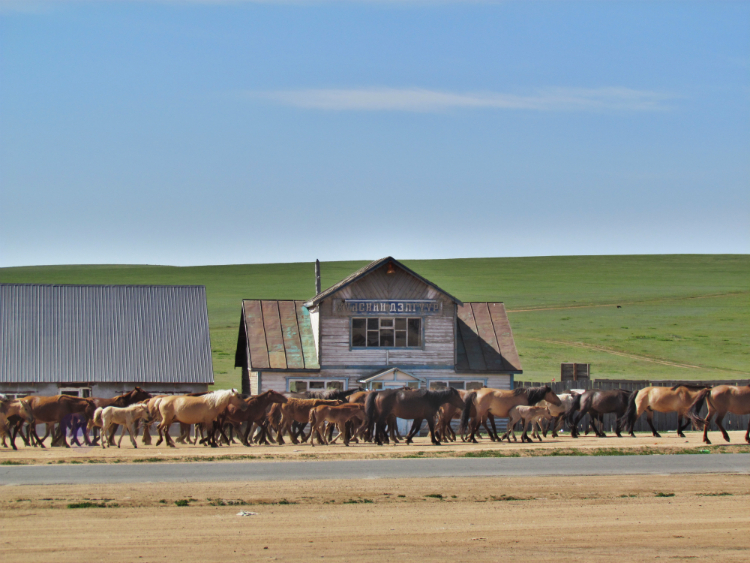 These nomadic stockmen, basically graze alongside the highways and within a few miles of them. Yaks, have beenplentiful even though we are not yet in true Yak country, but that is comkng up soon. Basically, I hate to say it but the grasslands are horrendously filthy with trash. It does not bother these folks to just flat toss it when done. Glass is smashed on the old yurt site, and anything not needed is burned right there. Water is a problem in much of the country we have rode thru, for all involved including the animals. As a generality they are friendly folks, but we have encountered a few that are very standoffish and give of a distinct “get lost vibe”. Yaks, even though we are not yet in true Yak country…….that country is coming up. Well, we already had camp set up, so now we pull it all down, get it all on the bikes and convince our burning tired legs they only need to go another 2 mkles in soft sand and grass for a true rest. @#&££#@ was the reply that we both felt. Off we go, start with the first yurt thinking that had to be it………after a long drawn out ‘potatoe, potatoe” attempt at a conversation…..we all smile and leave to try the next yurt that is visible. Same thing as the first Yurt, and onto now a third more distant yurt, and always the same thing……not this one. Its now nigh on dark, and we need to eat and get to bed, so we trudge back to where we initially had camp and set it all up again. We were half puzzled, and half perterbed that we missed out on what may have been a fun encounter……we will never know now. 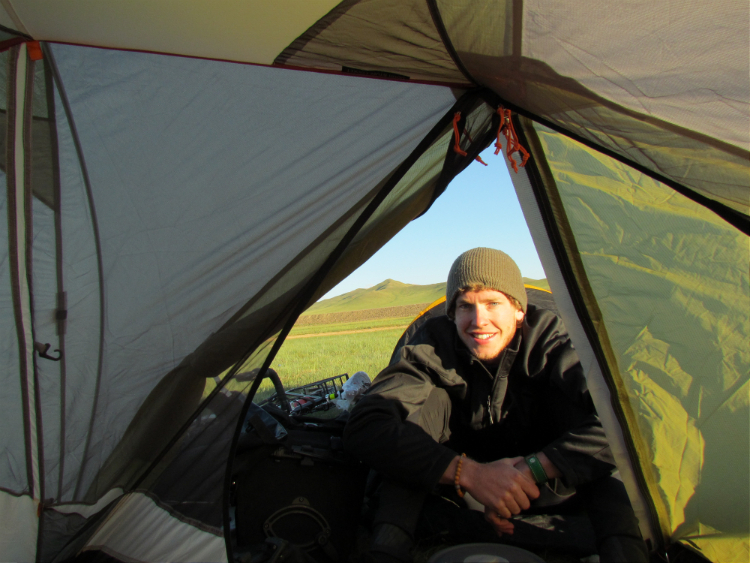 Then we had a camp inwhich we set our tents up not under but close to a Mongolian power line. Everything went according to Hoyle, camp is up, we made muttoned noodles with sliced up small golden potatoes. We sat in the tent and visited and I worked on the blog pages……vroom,vroom znd along came a motorcycle with the usual pair or shepard riders in huge bright colored ropes tied at the waste with a brighter sash. Both fellows where pretty young, maybe mid thirties and all smiles and white teeth…….one guy hopped right off and came and sat in the tent with us, mi ni nereg Pine, and mi ni nereg Jeremiah. He was looking at the tablet, so I went thru some images of home in California as well as China images, he seemed amused, smiled, got up and left about as the manner he came in to the tent. So Pine and I turn in, the wind is just howling outside, trying to rip our tents out of the ground. About 2am, we are woke up by a motorcycle and its headlight right at the tent. 2 fellas, not drunk smelling, just concerned that we are to close to the power lines to be safe……….after much discussion we reneg and move camp another 500 yards out……omg we are dog tired and thankful, and they are gone. Maybe 10 minutes goes by, we are both crawled back in……and we hear Pine,Pine from someplace in the abyss of darkness that surrounds us. We crawl out, no light, nothing to know where they are? We walk towward the sound, and finally find them and the tipped over motorbike. Big problems is what we get from the younger of the two, and he demonstrates that the bike will not start……..over and over he tells us the story of how they fell and electricity will burn us, and then again, and again. There is gas, no spark, and no ignition…….we look around and find they now have no plug wire………can we have cigarette, you have cigarette……..you have no plug wire you idiot…..once again, we having that Mogolian potatoe,potatoe conversation. They up and decide to just push the bike, great idea we say, shake thier hands and watch them leave…..slowly. Pine. Checking out the countryside from one of our camps. At the moment our bikes seem to be running just fine, but roads like the last few days will take thier toll I am sure. Its a mystery, we run into dirt walls crossing the roads, it forces all traffic off the road out onto the grass. There are places where there may be 5 to 7 different paths to take. Then for no reason, you are back on the paved road, and quarter mile or 3 miles later, you are kicked off again. We figure its Mongolias mystery, much the same as the Italians have the mystery of creating the octagonal Duomo on top the Cathedral. My thought is, that given that we still have reminents of buffalo trails in USA from those longago days…..Mongolian steppes will never heal from thier car created buffalo trails. Many of these bypass roads are 4 feet deep inplaces, and you will have 4 or more of these roads created on each side of the blocked area of perfectly good highway…..go figur. Just another street in Tetserleg. Have a real problem with the wiring that runs from our high dollar Son 28 hub. At this point it has never worked and the wiring tabs are always getting pulled off. I sent them an email suggesting a couple of very easy changes they could make leaving you with a bullet proof hub connections……but I guess its just more advice from someone you dont know…….not sure I would take my advice either. But itsa hell of an idea. Another piece of equip we have come to hate is our useless Bontrager speedometer. Way to finicky for a rugged expedition type tour. I should press it flat under my boot heel so its easier to mail home????? without any doubt, we are just amazed at the Schwalbe brand Ultra Marathon Plus tires we are running, cant tell you how impressed we are with them. We bought all Ortlieb brand panniers, great product. We bought the stuff from Wayne who runs the Touring Store, which is an online store, thanks to wayne and his sound advice on preparing the bags for a rough tour, they have worked perfectly. Big thanks Wayne & The Touring Store.com folks. Pine and I, have been Praying diligently for my knees healing. Pine has been Praying for it to be better so I can ride further, while I have been Praying with a little more of a self centered reason. I want it all better, so my big buddy Terry Hinkey does not get a chance to fold me in half during physical therapy. What ai have been doing is wrapping just below the kneecap, using a elastized velcro strap meant to hold my tent. I am using it much like a chronic Illiotibial Band…..ther ya go Terry, hows that for big word out of a canyon folk. 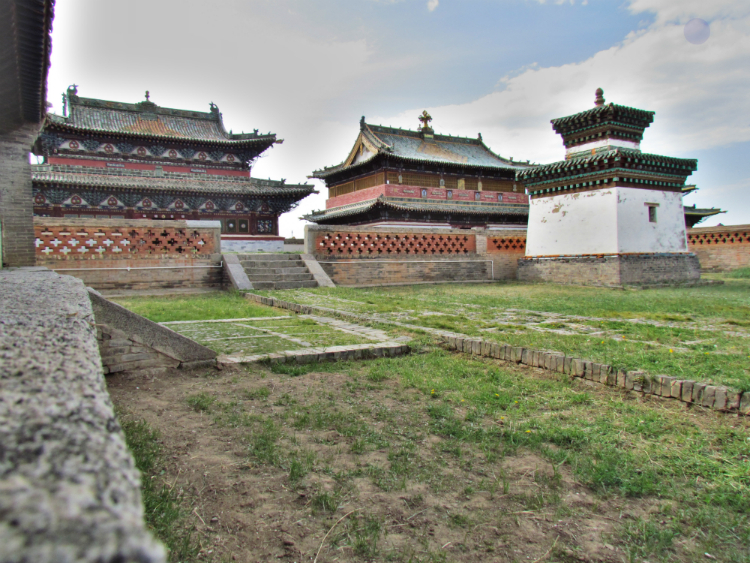 We like Mongolia, albeit just a tad monotenous in its geography, it. Its like a ride from Magrath to Manyberries in the spring……..thats it folks. Like crossing North Dakota 4 times,non stop. What else can be said, other than the head winds have been a brute for the most part. Todays winds were hitting close to 40, dropped to the low ring to just move forward, or to pedal down a danged hill for that matter. Plenty of climbs, especially today, with 8 good stiff climbs plus that headwind. The little stretch from approx 30 miles south of Tetserleg on into town is the prettiest piece yet, just gorgeous with some snow capped peaks off to the west. The road folows the river bottom, and the river is lined with huge cotton woods and larch. We are dirty, no, we are filthy is more apprepo. (french word thrown in to appease my international fanbase). We have the usual one bottle shower every night, but we need to take a real shower at some point soon. I have 25 mosquitos in my tent with me right now, and they are trying there darndest to get out as I sit here typing. Pine and his first plank. The irony, the cycilic letters spell out “no planking here”, gosh darn, so sorry, we just didnt know. I had best turn in, we sit on a grassy bench of land over looking a huge grand grass covered flat that runs clear to the horizon with narry a bump nor imperfection on its surface. Whiles its beautiful to behold, its a pain to cycle thru, as you stuggle to fend off monotony. 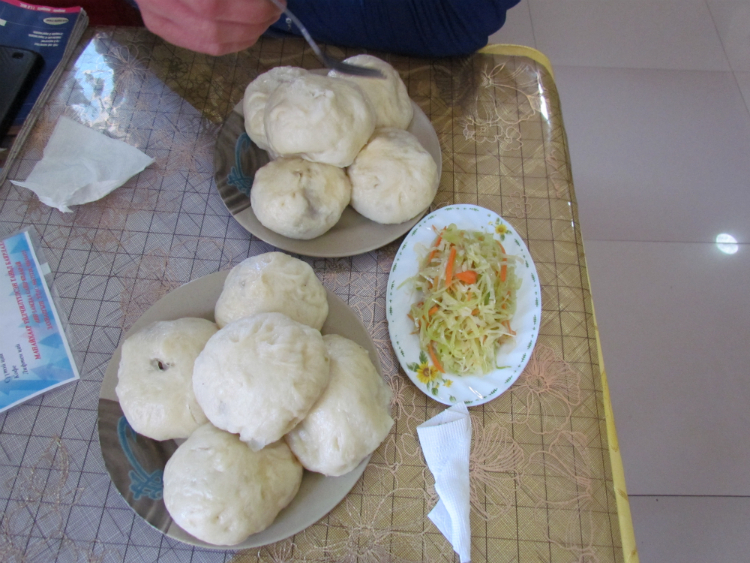 Sheep dumplings, were actually pretty good. While we sat there the cook drug a live sheep right in thru the front door, rignt past us and threw the proverbial swinging door…….slit her throat and butchered her right there. The whole place smelled like Hannibal Lecters kitchen for about half hour……………… but after that there was even fresher meat on the menu. 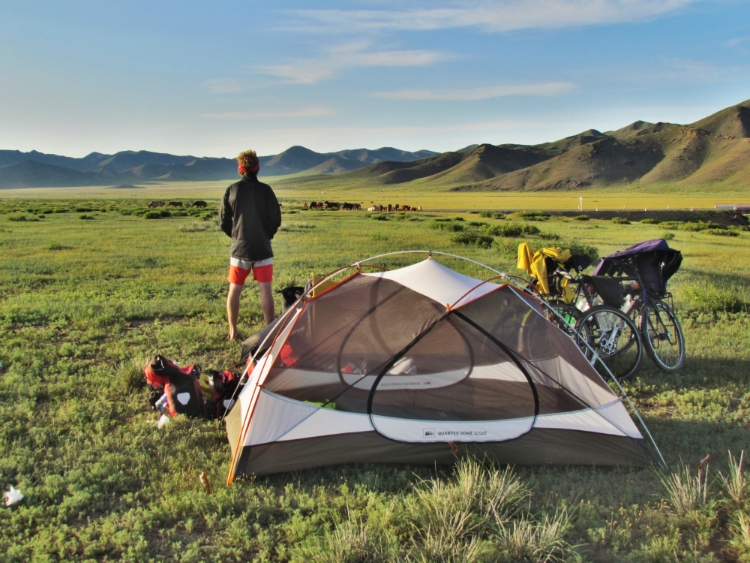 This entry was posted in Uncategorized and tagged bicycle travel, bike expedition, Jeremiah, Khara Khorum, Mongolian travel, Pine, round the world, Schwalbe tires, Surley LHT, Tetserleg, The Touring Store, Wayne. Bookmark the permalink. Thanks Mike, I know your Prayer Warrior and we fel the constant blessings of that effort. Our next 6 day leg will be a very tough and very dry piece, some have said maybe the hardest. 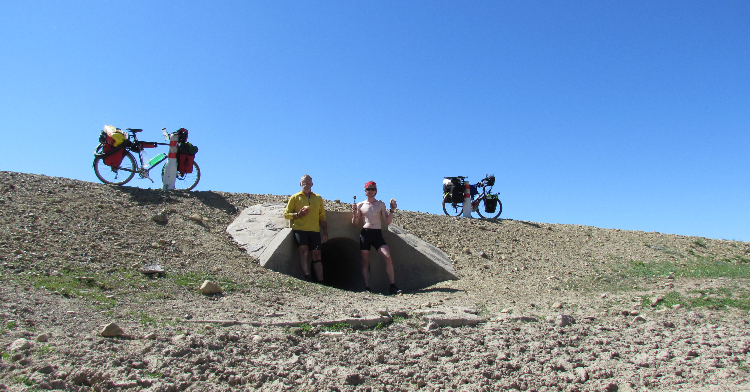 Not sure we can post from Tsanganuur or not, next time may be a far piece north on the Chuskia Trail in Russia. Say hello to all, ask for Prayer in our stead. Be Blessed, you and Jeana. Thanks Marion, Miss my time with you and the rest at GRS as well. By the way, my cousin Bill loved the class with Sam. Be well all. I said it once and it still holds true. You are crazy! But you are our ” Spandex Cowboy” and we love you. Praying extra hard. God protect and provide. 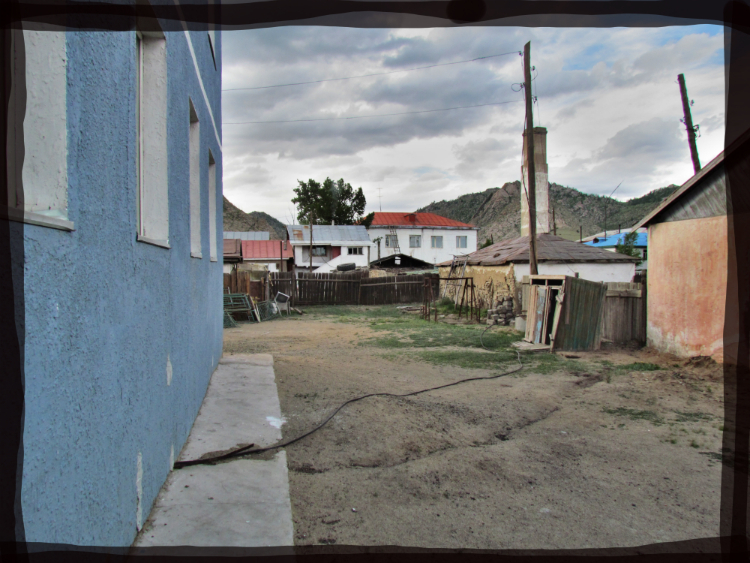 Thanks Don, but we are long past Bator, dang near finished with Mongolia, maybe 6 days riding left and we are into Russia with any luck….so Pray, as I know you both do. Hi TJ, thanks for following along. 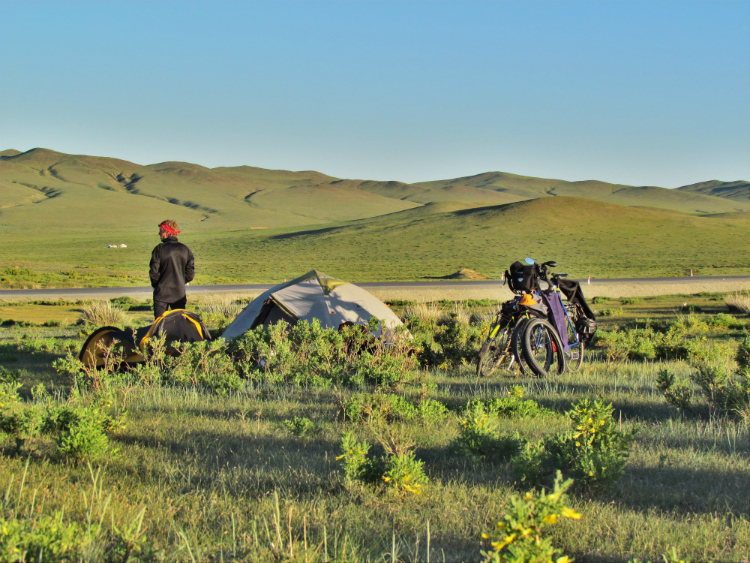 Frankly, Mongolia was the biggest jewel so to speak, on my ride route. To be honest I find I am generally dissapointed in the place on many levels. But dont let my synicism take away from your own desires. We have enjoyed it, but of us cannot wait to get out as well. Say hi to Nate and Jackson for us both. Same outfit, they do make a lot of good products. Its just this spedo is not durable enough to take this sort of trip. Thanks for following along, say hi to Bev,Kirsten and Casey for us. Hey Tim, good to know you are along for the. I dont find looking like the old guy when I am this far from home, cause nobody sees how bad it was. Keep the packages coming my friend, they are funding this trip. And stay on thag Luis, make him get in the weight room. I am glad all is well, so sorry pine made you look like an old man on the climb up. Like mom said well kinda like she said I looked at my bike today. Take care miss u guys. Ps very interesting reading. Really enjoying the post. Another difference between men and women; I laugh and Bev say ick! a lot. The speedo built by Bontrager. Is that Keith Bontrager? I worked on motorcycles with a Keith Bontrager in the early eighties who made it big building bicycle frames. He was magical with motorcycles in general…come to think of it I never saw him work on a speedo though. Hey Bill, thanks for following and sage advice. We are packing the Nomad 20 version, great piece, use it all the time. Bigger pro blem is just getting the danged phones to work….frustrating. Yup, there are days that of us wished it was someone else and not us. To be honest we are grateful for having a chance to see these countries in a very closeup fashion. Now yer getting out there in the back of beyond! Very cool! Love the tales from the road. If it is possible to get something shipped to you the Goal Zero Nomad 7 is a small, light , folding solar charger. Puts out 7 watts, you can tie it on your pack some where on your luggage on the bike it will charge a cell phone in about 2 hrs. It has USB plug ins and 12 volt. Has a battery pack. They work well. A buddy used one on a 3000 mile ride through Argentina. Just sayin! Stay after it! I hope you are getting some full-body stretches in when you get off your bike to alleviate the lactic acid build. 500 miles in 4 days? Wow! Love your posts. Stay safe, some of this seems pretty scary. I am glad the food isn’t/hasn’t made either of you sick yet. I hope you are having fun and the trip is all you expected. Be careful!